Being swept off your feet, a daring and exciting lover, dramatic gestures, passion. 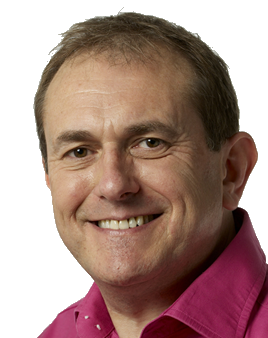 This charismatic chap couldn't be dull if you paid him (and he's no stranger to money, in fact he can be quite the entrepreneur and his generous nature means you will benefit from his success). Whoever this card represents is a natural leader with more energy than a power station. On the downside they have a stormy temper but the clouds still pass and all is sunny smiles again. Such a person is loyal, although you may occasionally wish things were a bit less exciting. Whoever this represents enjoys the physical as well as the emotional side of love and can be very skilled in this area. He is the ideal card for folks in a relationship as he suggests a profound love - although this may not be without the odd tiff. Of all the bossy, arrogant self-righteous, bombastic individuals, the person represented by the reversed King of Wands can take the biscuit. If you come across this bully the only thing you can do is meet them head on. Just make sure it is not you who is behaving badly, playing the authoritarian to your amour is not going to go down well. If you're single be very careful that any new beau is all they seem. The reversed King of Wands can warn you that someone is trying to pull the wool over your eyes, don't let them take you for a fool. This could mean they are gold-digging or being economical with the truth to put themselves in a good light. At worst it could be they are already spoken for or have a string of lovers and want to add you to the list. 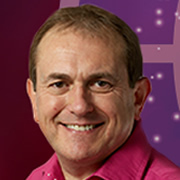 I'm professional Astrologer and Tarot reader Patrick Arundell.